THERE were plenty of personal bests from athletes from the region at the BMC Meeting at Exeter Arena on Tuesday night. 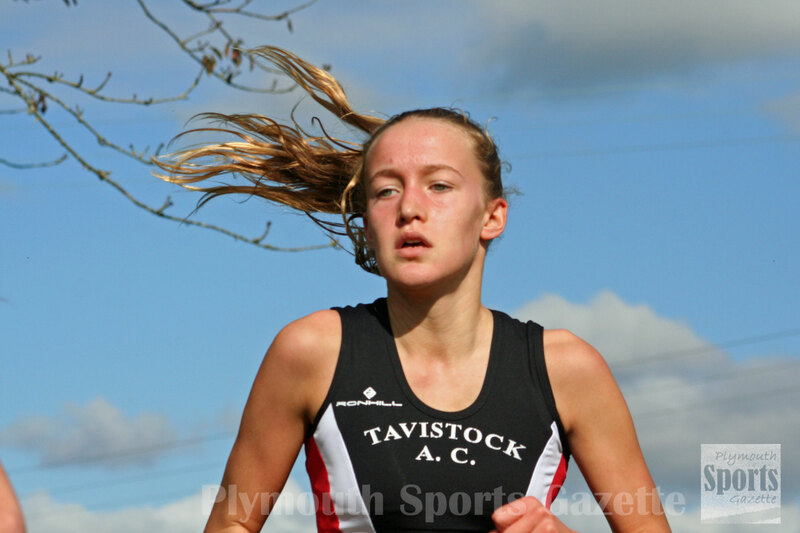 Young Tavistock athlete Amelia Riggot was one of those to achieve a milestone. She ran under five minutes for the first time in the 1,500m. Riggot, in her first year at under-15 level, clocked 4:54.97. There was also a PB over that distance for City of Plymouth’s Jake Hughes, who finished fourth in the A race in a time of 4:02.89. Tavistock Run Project junior Oliver Smart came sixth overall and first under-17 in 4:12.86, with Erme Valley’s Nathan Brown ninth and second under-20 in 4:16.89. In the B race there was a PB for City of Plymouth under-15 athlete Oliver Woodmason, who clocked 4:39.23. Tavistock’s under-15 runner Will Russell won the C race in a PB time of 4:36.10, with under-15 club colleage’s Euan Bothan (4:41.01) and Dan Luckham (4:42.74) also setting new best times. In the 800m races, there were third places for City of Plymouth’s Dean Smith and Tavistock’s Emma Ryder. Smith clocked 1:54.77 in the men’s event, where Edward Smart ran 2:11.34 and Tavistock’s Joe Dix (2:19.44) and Ewan Dix (2:39.10) both set new PBs. Ryder was third in the women’s 800m in 2:17.05. Over the same distance, Erme Valley Harriers’ Olivia Travers ran 2:30.57 and Tavistock’s Emma Luckham 2:56.53. Meanwhile, City of Plymouth’s Jonathan Edwards impressed at the Southern Athletics League Division Two West meeting at Horspath. The combined team of City of Plymouth, Tavistock and Erme Valley Harriers were a bit short on numbers for the trip to Oxford due to other events and holidays, but Edwards secured them some valuable points. 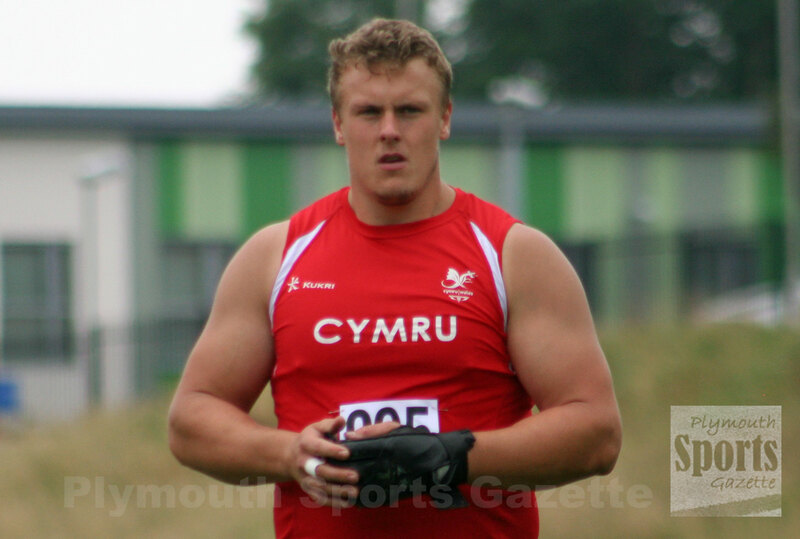 He won the men’s A shot, discus and hammer. He threw a season’s best of 15.04m in the shot, another season’s best of 58.33m in the hammer and 44.48m in the discuss. In the women’s hammer Clare Taylor threw 36.78m to finish second. City of Plymouth’s Aaron Miller ran a PB of 11.36 seconds to finish second in the A 100m, while team-mate Brook Adnitt won the B 100m in 11.23 seconds. Adnitt was second in the A 200m in 23.04. Middle distance runners Matt Bradley and veteran Simon Anderson had busy afternoons. Bradley ran a season’s best time of 6:23.05 to finish second in the 2,000m steeplechase, while he also came second in the 5,000m with a 16:25.06 run and he also clocked 66:89 seconds in the 400m hurdles. Tavistock’s Bradley Stevens also did the steeplechase and he won the B race with a PB time of 6:57.39. Over-50 veteran international Simon Anderson found himself doing the 400m, 1,500m and 5,000m at Horspath. He ran 4:38.90 for the 1,500m and 18:06.90 for the 5,000m. He was not the only veteran taking part. City of Plymouth coach Steve Endacott took part in the men’s long jump to try and pick up some points for the team. Meanwhile, this weekend the region’s top athletes will be competing at the British Championships in Birmingham, which are acting as trials for the European Championships. City of Plymouth’s David King will be hoping to book his place at Berlin in the 110m hurdles. King has already achieved the qualifying mark. Tamar Trotters’ Mike Wilsmore also has high hopes of impressing this weekend. He goes into the event ranked 10th in the UK in the 1,500m.